SKU: A0240. Category: Audio Amplifiers, Audio Video Distribution, Crescendo CAT5 Audio Systems. Tags: 80 watt, a0240, amplifier, class d, surface mount. Channel Vision’s Crescendo High Powered CAT5 Audio system distributes powerful, high quality audio throughout the home over standard CAT5 cable. 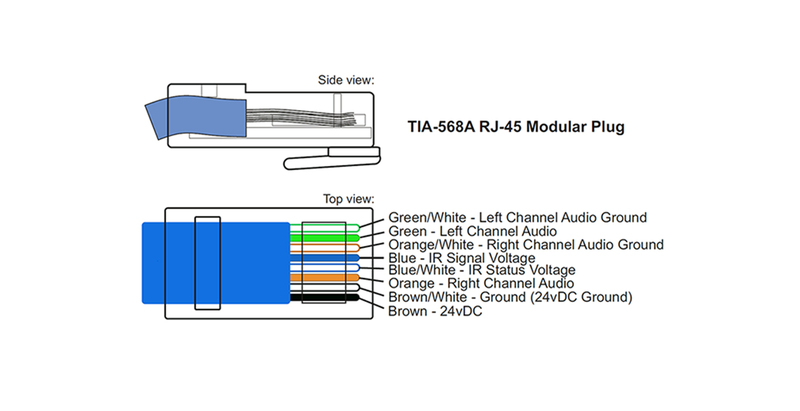 The 40 Watt Stereo Amplifier offers in-room amplification for the system. A stand-alone unit that connects to a power outlet, the A0240 supports a variety of uses.Used with the A0302 Speaker to Line Level Converter, the A0240 acts as a dedicated zone amplifier and is ideal for powering speakers in hard to wire and retrofit locations. Use it to boost power on existing low powered distributed audio systems or to easily add a zone to an existing system. It can also easily power a system subwoofer with dedicated 80 watts amplification. Its compact size makes it easy to conceal behind or underneath furniture, and its versatile power cable allows direct wall plug-on or tabletop operation. Easy installation, operation and flexibility make the A0240 the perfect amplifier for any audio system.